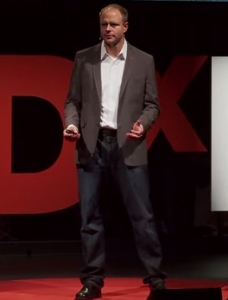 The other day I had a conversation with a coaching colleague about the state of youth sports. I stated that the emphasis on travel sports and playing multiple games per day for young children was hurting kids and damaging sports. Youth sports has become less a tool to educate children about sport and life, and more often a place where parents go to be entertained by their kids. They pay good money, add a great deal of chaos to their lives, and spend their valuable time travelling far and wide watching their kids play sports. 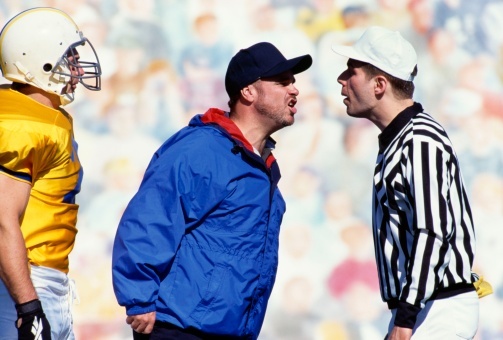 When the product they see on the field does not live up to their perceived notion of the value of their investment, they get upset at the kids, the coaches, and at the schools and clubs. They want their moneys worth. They want to be entertained. But at what cost? Now I know this will upset some people who read this. They will say that they would do anything for their kids, that they happily spend this time and money for their children. I believe them. But if youth sports ended tomorrow for your child, honestly answer for yourself whose life would be more disrupted, yours, or your child’s? That answer can be scary for some people. I find it sad that we trade in the health and safety of our kids for the adult need to be entertained and get a return on our investment, yet that is exactly what we do. Can you name a professional contact sport that plays multiple games in a day? There are none. College sports? There are none. High-level high school sports, or leagues like the US Developmental Academy in soccer? Nope. These highly trained athletes do not play multiple games in a day, and rarely play games on back-to-back days, because it is not safe, healthy, or conducive to optimum performance. 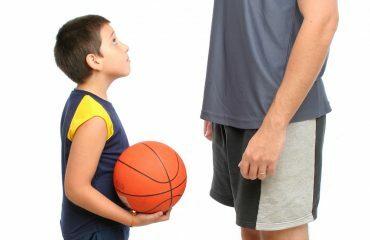 Sadly, in youth sport we justify the travel to soccer or basketball tournaments by having kids play five games in 48 hours “to get our moneys worth.” We take developing children, often in their growth spurt and even more susceptible to injury, and place demands upon them that we do not place on elite pro or college athletes. Why? The only reason I see is to entertain the people paying the bills, and justify the expense of getting to the venue. This must be it, because there is not a single sport scientist, physician, fitness expert, or professional coach who would treat their elite players this way, or recommend this path for younger athletes. Not one. Using youth sports as a form of adult entertainment is just one example of what I call the “adultification” of youth sports. It is the introduction and prioritization of adults’ needs and values over those of the child. It turns the focus from process to outcome and from free play to deliberate practice. It creates barriers to participation financially, forces year round commitments far too young, does not allow for sport sampling, and is creating a generation of burned out, beat down kids who walk away from sports. This is happening in every sport, all across our country. Over lunch recently, a family member of mine told me about his 11 year-old son having to forgo the upcoming basketball season. “It’s not that we don’t want him to play, or that he doesn’t want to play,” he said. “We just can’t, the commitment is too much with multiple kids in sports.” And then he told me the story. You see my family member lives in a large metropolitan area, and his son is on the local basketball club “B” team, which is fine, except for the fact that this season was travel season. Every weekend they were travelling for tournaments. These events were usually out of state, and when you added in the costs, time commitment, and overall craziness, it was just too much. The sad part is that his son’s team could probably find 100 competitive games within a one-hour drive, yet the “elite system” demanded that this was travel season. If you wanted to be on a team, there was no time to actually practice. You needed to hit the road and lay out thousands of dollars to play the same level of competition you could play any evening of the week and still be home for dinner. This is not “elite.” This is insane. Yes, I find equal fault in both the hyper-competitive, kindergarten all-star culture AND the trophies for everyone collective. Sport is a place to win and lose, but most importantly to learn and develop not just as an athlete, but as a human being. Both groups take that away. 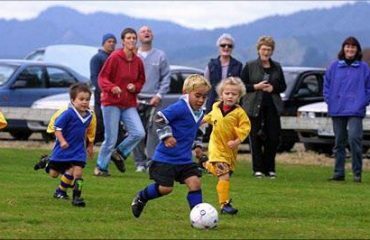 The win-at-all-cost folks are leading the charge for early specialization, the formation of “elite” teams and the cutting of players at far too young an age, all in the name of “competition.” These teams then travel far and wide to justify their “elite” status and often cannot find playing time for all their players when the game is on the line. They have taken away a child’s ability to develop at his or her own pace, and have turned youth sports into a results driven, mini-version of the pros. The emphasis in the short term on results may make a team more competitive today, but it sets those kids up for failure in the future. Equally corrosive in my opinion is the crowd that wants everyone to be equal, to have no winners and losers, lest anyone get their feelings hurt. In over two decades of coaching, I learned two truths: sport has winners and losers, and usually the kids get over the result long before the adults do. Kids don’t mind winning and losing. This does not mean we need state championships and standings for 9 year-olds. But it does mean its OK to keep score; the kids do! When adults try to mask things that clearly do not bother the kids, we take away opportunities to learn. And whenever we give out trophies simply for showing up, we make every trophy less meaningful. In other words, if everyone is awesome, then no one is awesome. That makes very little sense as it’s simply not true, and the kids see right through the facade. 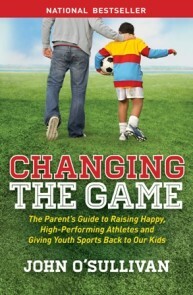 Why is it that when it comes to youth sports these days, people seem to think it can either be fun, or be competitive? They say “this is not the place for free play, this is serious.” How many times have you heard a coach say “this isn’t supposed to be fun, its travel ball!” Are you kidding me? Think about your own life. If you enjoy running, you will run more. If you have fun lifting weights, you will workout more. So why do we think that if we make sports less fun that kids will play them more? They won’t. They don’t. They quit. They play video games instead. When I look at that list, I see many things that adults list as fun (winning, going to tournaments, practicing with specialty trainers) way down the kids’ list, don’t you? There are many misinformed coaches and parents who think play and fun have no place in competitive sports. They could not be more wrong. The importance of deliberate play cannot be overstated, as it creates engagement and love of a sport. Kids need to be in the moment, laughing, and free of the fear of failure. They must fall in love before they pursue elite performance. They must play! Finally, many adults see youth sports as a means to an end, an investment with a financial return. That is why they value specialty trainers, showcase events, and winning much more than their kids do. Many parents see sports as an investment in a future sports scholarship, even though the chances of that happening are incredibly unlikely (less than 1% of high school athletes). When adults trade enjoyment and engagement for a tangible return on investment, they steal their kids’ childhood sports experience and all the great things that come from it. Is my child having fun? Does this game/league/event serve the needs of the children, or the needs of the adults? Have youth sports more important to me or my child? Is there a way to get a similar experience in a less intrusive, less costly way? What is my child learning from this experience, and does it match the values we are teaching at home? Is our family keeping our priorities in order (family, church, school, vacations, sports, finances, commitments, etc.)? I truly believe we can end what I call the “The Race to Nowhere in Youth Sports” if we keep these questions in mind. Currently, youth sports are giving us exactly what the adults are asking for, namely a perverse form of entertainment for adults instead of an education for our kids. Three out of four young athletes are telling us by quitting that it is not what they want. This is our wake up call. Let your children go, give the experience to them, and find another way to be entertained. You don’t need to be at every practice and game. This does not make you a bad parent; it makes you a great one who has released your child to the game, and your kids will thank you for it. If we do these simple things, perhaps we can begin to right the ship. We can end the “adultification” of youth sports. Click here to join our email list and become part of the movement that is giving youth sports back to our kids! © 2018. All Rights Reserved. Changing the Game Project.